MONTEREY, CA – In what was a thrilling 6-hour endurance race, Patron Highcroft Racing again took top honors with the HPD ARX-01c piloted by Brabham/Pagenaud/Franchitti. Starting from 33rd position, the Patron team had to work hard. 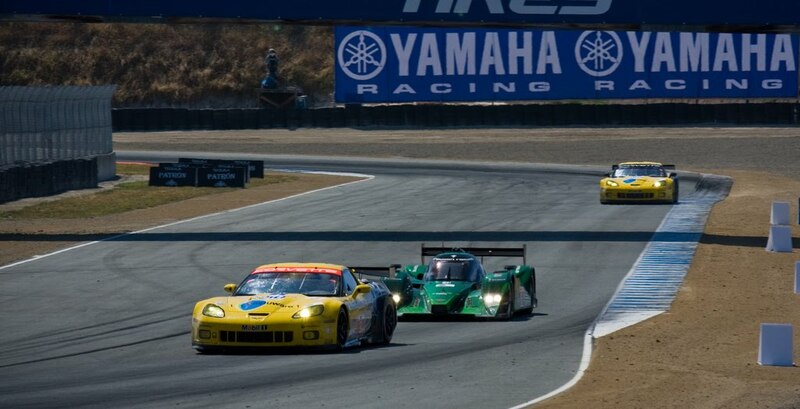 Only 78 minutes after the start, Pagenaud managed to claim the lead. “The opening laps were pretty exciting. Starting at the back you have to find motivation and that was getting to the front” commented Pagenaud. Though the Patron car ran strong, by no means was it an easy race to win. 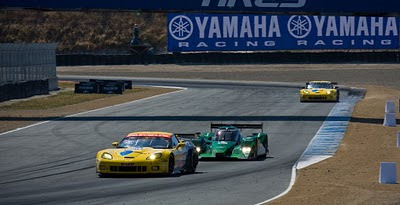 Four cars led the race – Patron Highcroft, Dyson Racing, Muscle Milk Team Cytosport and Intersport Racing – but the Highcroft vs. Dyson match was the most exciting. The Dyson Lola-Mazda, also battling to the front after an early spin, gave the Highcroft car a run-for-its-money. The cars were 1 and 2 for over 2-1/2 hours. 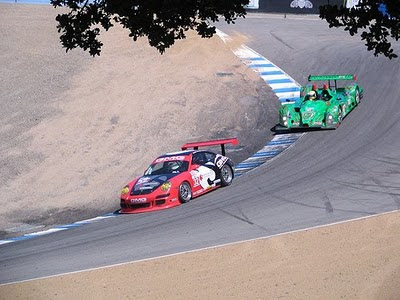 A cunning pit strategy by the Patron team placed Franchitti 30 seconds over the Lola with 45 minutes left in the race. 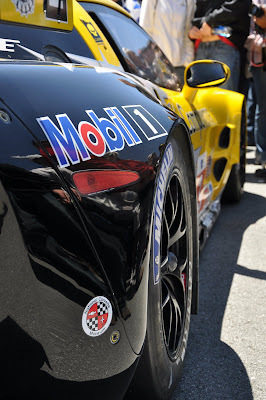 Foregoing new tires, Franchitti stated that “it was a bit like drifting.” The LMP-2 Muscle Milk Porsche RS Spyder placed second overall. MONACO, MONTE CARLO – It seems like old times. 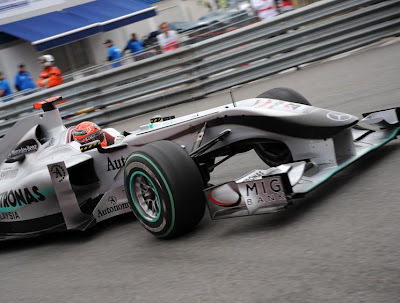 Controversy at the Grand Prix of Monte Carlo was sparked by former teammates Michael Schumacher and Rubens Barrichello. Barrichello has been faulted for throwing his $50,000 steering wheel onto the race line following an incident on lap 31 while climbing the Beau Rivage. It appears that a technical problem caused his Williams to impact the Armco barriers on both sides of the track. Karun Shandock and Bruno Senna both ran over the wheel during the race. Some argue that Barrichello recklessly endangered his fellow drivers by throwing the wheel in frustration. Rubens’ commented “I threw the steering wheel because I wanted to get out of the car as soon as possible… After the shunt I was facing the wrong side of the track and the car was on fire," Williams co-owner Patrick Head defended his driver, "If you are standing in the middle of a 120mph corner, you tend to think 'let's get out of here as quickly as you can'." William’s driver Hulkenberg also crashed out of the race following a failure. No champagne at Williams this weekend! Seven-time World Champion, Michael Schumacher appears to be back in the swing of things in F1. Never mistaken for a milquetoast driver, the German was penalized for an aggressive pass of Fernando Alonso in the final corner immediately after the safety car exited the track. The move placed him in 6th place. The stewards deliberated for four hours on Sunday deciding to drop the German out of the points to 12th position. 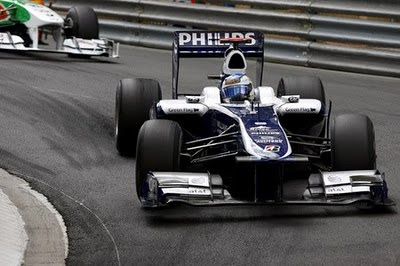 Mercedes reserve driver Nick Heidfeld told Sky television: "The move was very clean… The rules are different this year. In the past you could only overtake from the start/finish line, now it is from the safety car line. Alonso was a little bit asleep," As of the time of this writing, Mercedes has not decided if they will proceed with an appeal of the decision. What was not controversial this past weekend in the Principality was the utter dominance of The Red Bull car driven by Mark Webber. 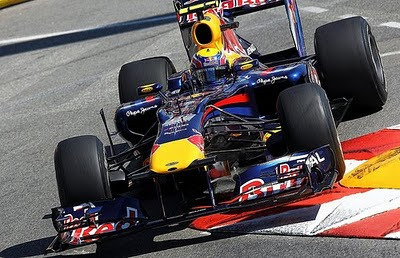 Though the race was marred with crashes, with 4 appearances of the safety car, Webber kept his cool and the performance of the Red Bull did the rest. What makes the win extra sweet for Webber is that it is the first time in 52 years that an Australian has won at Monte Carlo and it moves Red Bull in the lead in the Constructor’s title. The last Aussie to win at Monaco was the great Sir Jack Brabham. “To win in Monaco is a dream for any Formula One driver. It is a very, very special event and every Formula One victory is special but to win on the streets here fair and square off the pole, no attrition again, that’s nice and control the race from the front. To join such great winners here is a real special moment for me. I was reminded yesterday that Jack Brabham won here in 1959, so it has been a while for the Australians. A special day.” Webber is certainly in good company. 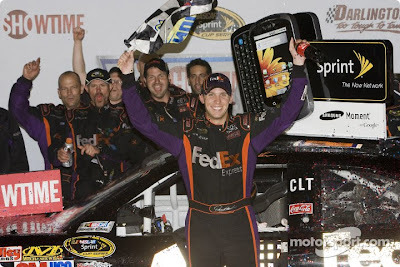 DARLINGTON, SC – Denny Hamlin certainly entered an exclusive club this weekend sweeping both the Nationwide Race and the SPRINT Cup race at Darlington. Only two other drivers can claim a sweep at this difficult track. 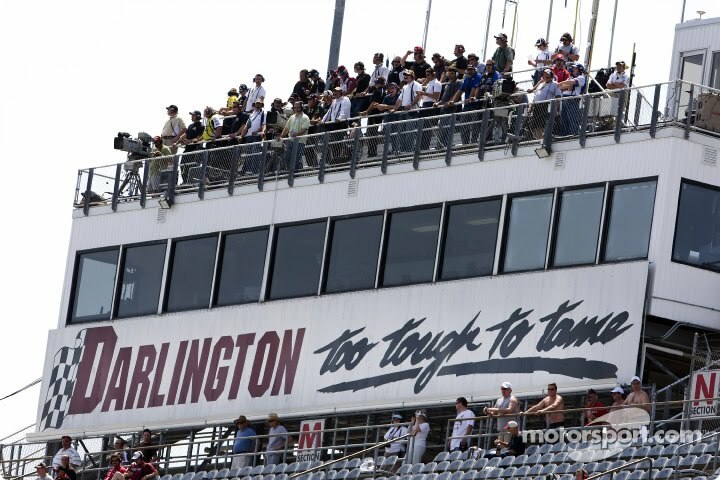 Mark Martin did it in 1993 and the legendary Dale Earnhardt in 1987. During the SPRINT Cup race Sunday, Hamlin was running a brilliant race with a great car, and was able to capitalize on mistakes by the other two contenders, Jeff Gordon and Jeff Burton. In the closing laps, Jeff Gordon made a rookie mistake by failing to signal to following drivers his intent to pit and was forced to make another lap before entering pit lane. While this may not seem to be a major faux-pas, David Reutimann spun bringing out the caution flag, forcing Gordon to cut his stop short in order to avoid losing a lap. "I don't like making mistakes like that,” commented Gordon after the race. Jeff Burton, leading at the time of the caution, came out of pit lane in 3rd place, but was flagged by NASCAR for running over his air line, costing him several positions. 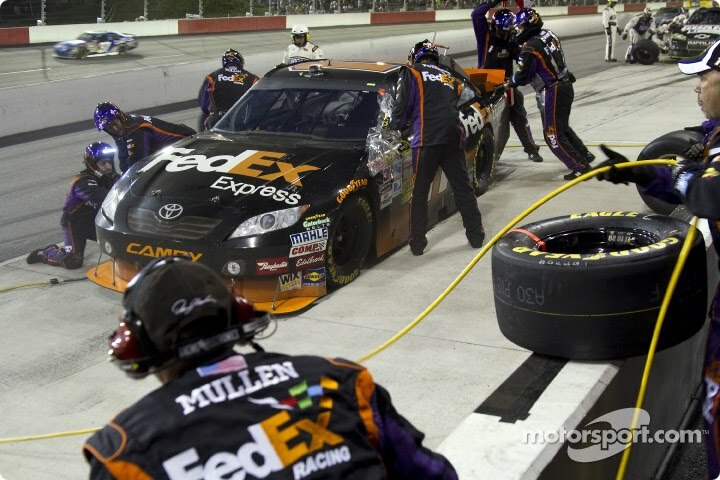 At the restart, Hamlin was in the lead. With Gordon and Burton in 12th and 13th positions, he had a clear shot to victory. Jamie McMurray finished in 2nd place followed by Denny’s teammate Kyle Busch. Asked about the pit row mishap, Burton said emphatically “We have to make a decision whether we want to be a championship team or do we just want to pretend to be one, I think we're a championship team. I think our guys will get it together and we'll be just fine." Hamlin on the other hand was understandably quite elated. “We went back and forth all night and fine-tuned it to perfection at the end. Right there at the end, it was the best it's been all night. That's all you can ask for." Just to show how quickly things can change in NASCAR, Jimmie Johnson had a 108pt lead just 3 races ago. Today he is 110 points down from Kevin Harvick, a swing of 218 points! Kyle Busch, Jeff Gordon and Matt Kenseth complete the top 5 in the standings. 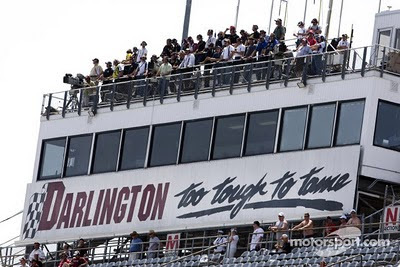 Stay tuned for Dover next weekend.